Our squad is slowly returning to full-strength after Jurgen Klopp welcomed our England internationals back into the setup during our first training session in California. Club captain Jordan Henderson, as well as Adam Lallana, James Milner, Daniel Sturridge, and Nathaniel Clyne all trained with the first team for the first time since they were unceremoniously dumped out of this summer’s European Championships in France by tournament minnows, Iceland. They later retired to perform a special session for “newly returning” players. 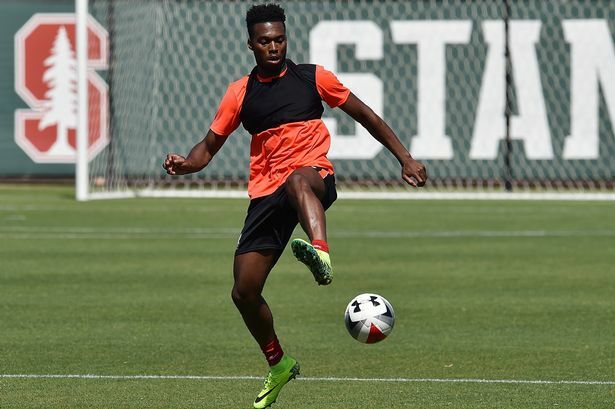 According to the Echo, the Belgian duo of Divock Origi and Simon Mignolet are both expected to link up with their teammates at the weekend, as is soon-to-be new signing Gini Wijnaldum – assuming he passes his medical tomorrow. It is unclear whether or not Christian Benteke will join up with the squad. Our tour kicks off next Wednesday when we face Antonio Conte’s Chelsea at the Rose Bowl stadium.